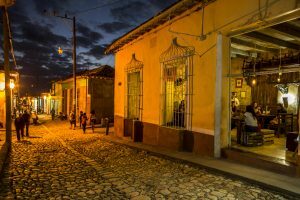 As a photographer, Cuba had always been on my bucket list. It was never a problem for me to visit because I’m British but for some inexplicable reason I never went. You are always told, “If only you’d been here 30 years ago.” Well, I wasn’t and I was a little apprehensive as to what dramatic changes had taken place. I needn’t have worried. The always photogenic decaying buildings are still decaying, life in the countryside is still simple, classic American cars are still everywhere. How long this will last remains to be seen and who knows what will happen in the post Castro era. Combined with the new administration in the US it will be better go sooner rather than later. It’s remarkably easy to work in Cuba. The people are extremely friendly but don’t expect them to speak English. Few people object to having their photograph taken; just smile a lot and respect your subject. Most tours shuttle people from one attraction to the next with minimal interaction with locals. A good photography tour will give you time to communicate with the Cubans without feeling the need to rush off to the next stop. 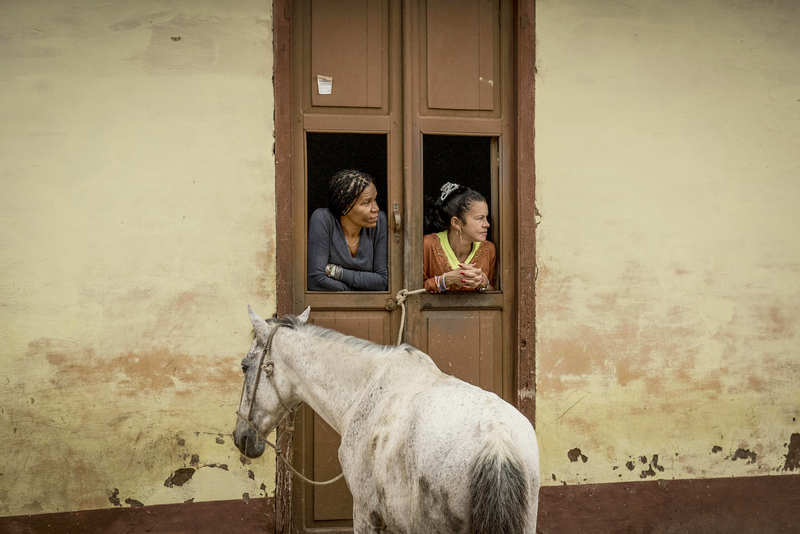 A family sits in the afternoon sun outside their house in Trinidad. Shots like this cannot be rushed. Everyone stops in Havana. This huge rambling city seems to be falling apart at the seams but the energy and creativity here palpable. I feel very safe wandering around some of the most unsavory areas with expensive camera equipment but don’t be foolhardy. Crime does happen as in any city and it always pays to be cautious. 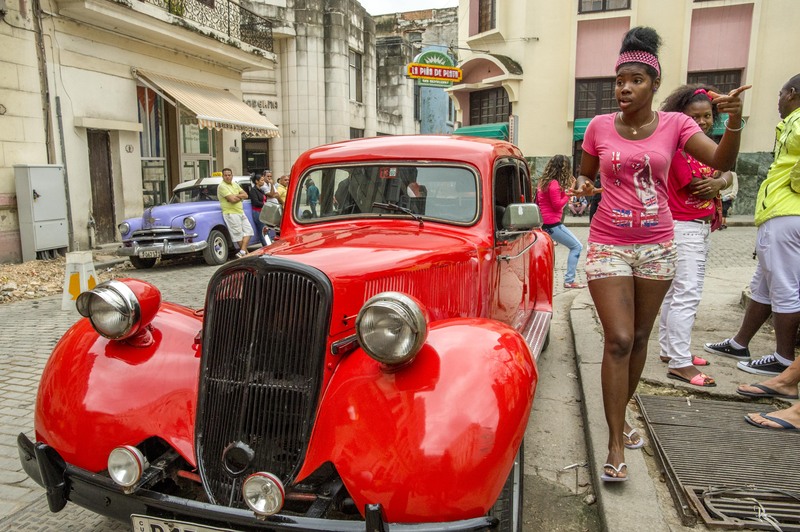 Old Havana is full of color, particularly the classic cars. A city like Trinidad, a World Heritage site, is an absolute must see for any photographer. Most tours only spend a day here and the main drag leading up to the Plaza Mayor is usually a stream of tourists. Photographers should spend at least one night here and wander the back streets after the hordes are back on their buses and before the next busload arrives in the morning. Even a week in Trinidad is not too long. Make sure your stay here is for at least 2 nights. Evening in Trinidad are mercifully free of tourists. Even during the day, if you just go a few streets off the main drag you will have it all to yourself. Beating the streets is the best way to photograph any town. Slow down, take in the surrounding, absorb the atmosphere and meet people. It takes time but it is always time well spent particularly in a country like Cuba. Regular tours rarely give you the time to do this. Wandering through the back streets of Trinidad presents scenes like this that the normal visitor never sees. Hotels in Cuba often get a bad rap and with good reason. Many are appalling but a handful are as good as any in the world. However, good luck getting a room in one of them. An excellent alternative are the casas particulares spread throughout the country. These private houses offer accommodation from simple rooms to palatial colonial houses almost always with breakfast included. This is my preferred accommodation because it can result in great photographs of a Cuba the average visitor never gets to see. A simple casa particulares in Vinales serves breakfast under a thatched shelter by tobacco fields, a genuine Cuban experience impossible to find in any kind of hotel.